No prior knowledge needed but strong desire to learn. Agile testing is the methodology and practice of software testing under agile software development which needs team collaboration, and applies in short time incremental and iterative development process. JIRA is a popular project management tool, like HP-ALM, that is used to manage software development process on various methodologies and work flow. 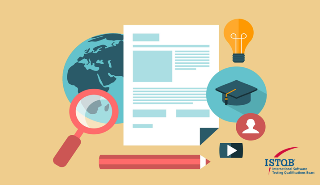 In IT technologies, you will get the knowledge of various & their components like Java / J2EE, Dot Net, ETL & Big data, XML, Web Services, Cloud / Virtualization, XAMPP / LAMP, Web Development / Portals, JSON, Operating systems, Networking, IT security etc. Almost all corporations use database to store and manipulate their data at the back, and provide the data/information to their customers through different applications like websites. Java is used to develop softwares, applications and services throughout the world; ranging from industrial e-commerce website to android apps, from scientific application to financial applications. Coding is must for IT professionals no matter in what role you are working. It is must for testers to do automation testing and white box testing. Selenium is one of the most popular automation testing tool used in industry to test different web and mobile applications. 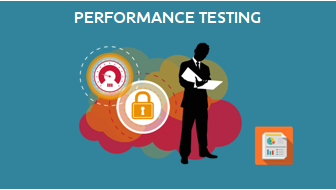 Performance testing is a non-functional test to determine the system scalability, reliability and resource usage under various workloads. Using JMeter you can test and analyze performance(load, stress, spike, …) of a variety of services, with a focus on web applications. SoapUI, from smartBear, is used to test functional, performance, Regression, security and compliance test for SOAP and REST APIs. Linux is an open source command base operating system which is highly use to manage servers. Using linux commands you can install and configure software, manage and secure file, users, networks and servers like Database and Web-Servers. We connect each of our trainee to a mentor, Who help, asses, guide and mentor the candidate and make person industry ready. What should be the idealistic answers. Right approach of answering questions in interview. Self assessment module to check your progress. Do’s and Don’ts of Resumes. How to describe your project? How experienced resume is different from fresher. How to build resume for Career switch from Non-IT to IT. What are top 7 ways of building effective resumes? Know where to apply for jobs? Right way of applying for jobs? Know how to get startup and flexible jobs?